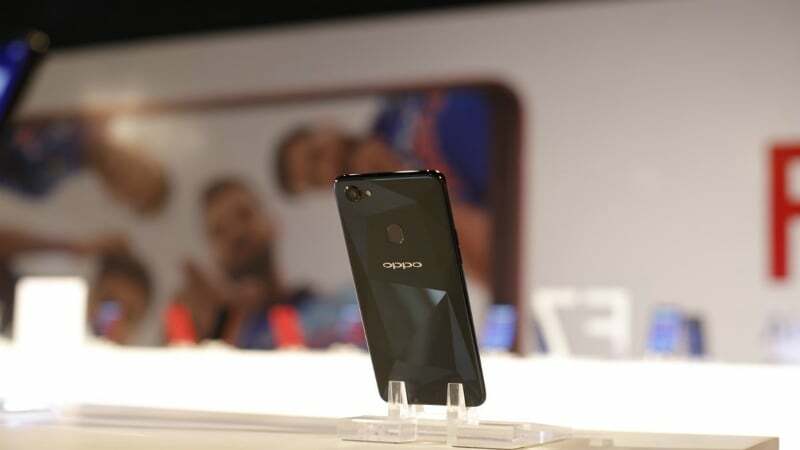 Its been close to two weeks since Oppo launched its latest flagship smartphone, the Oppo F7 in the Indian market. Finally, the phone is now up for open sale in the Indian market, meaning any customer can purchase the device at any point of time. Oppo earlier held a flash sale where it sold 10,000 units of the Oppo F7 on April 2. Starting today, the Oppo F7 will be available for purchase all the offline stores (no introduction needed here), Flipkart, Amazon India and even at Oppo stores in the country. The device will be available in two variants- one with 4GB of RAM and 64GB of storage priced at Rs 21,900 and the other one with 6GB of RAM and 128GB of internal storage which will set you back by Rs 26,900. The Oppo F7 will be available in three colour options- Solar Red, Diamond Black and Moonlight Silver. The Oppo F7 competes with the Moto X4, Nokia 7 Plus and Vivo V9 smartphones in the country. The highlight or the attraction of the F7 is its design and the 19:9 aspect ratio notched display, which is similar to what we have seen on the Apple iPhone X. But the notch on the Oppo F7 is smaller than the one present on the flagship iPhone X. Talking about the specifications of the Oppo’s latest flagship product, it sports a 6.23-inch display to the front with 19:9 aspect ratio and a notch cut out on the top. Oppo is calling the display on the F7 as Super Full Screen, and it carries a resolution of 2280×1080 pixels. At the heart of the Oppo F7 is the MediaTek Helio P60 chipset which is an octa-core chipset carrying a clock speed of 2.0GHz. The chipset works in tandem with Mali-G72 MP3 GPU, and as stated, the phone will be available in two storage & RAM variants- 4GB RAM/64GB storage and 6GB RAM/128GB of storage. The premium variant is available in only the Diamond Black colour option. The Oppo F7 carries a 25MP selfie camera- the first in any smartphone released till today. Oppo has thrown in features such as Bokeh mode, AR Stickers, a real-time HDR mode which Oppo is betting big and of course a beauty mode. A 16MP camera is present at the back of the phone with PDAF, f/1.8 aperture and LED flash. The Oppo F7 will be capable of capturing good images during low-light, thanks to the wide aperture. The device is backed by a 3400mAh battery, and the best part is the smartphone ships with Android 8.0 Oreo-based ColorOS 5.0 out of the box. Connectivity options in the smartphone include 4G LTE, VoLTE, Wi-Fi 802.11 b/g/n, Bluetooth, 3.5mm headphone jack, and GPS. The fingerprint scanner is present to the back of the phone and the device also ships with Face Unlock feature. Are you purchasing the Oppo F7 smartphone? India’s second Dual VoLTE mobile.